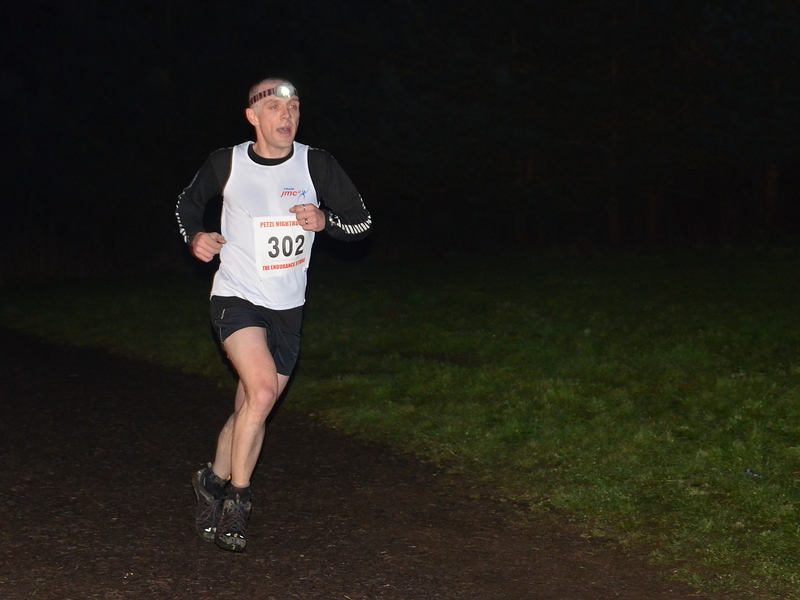 The 10 kilometre run in question was the Delamere round of the Petzl Night Runner series – the other rounds were all too close to big bike races so this was the only one I could do without really killing myself. 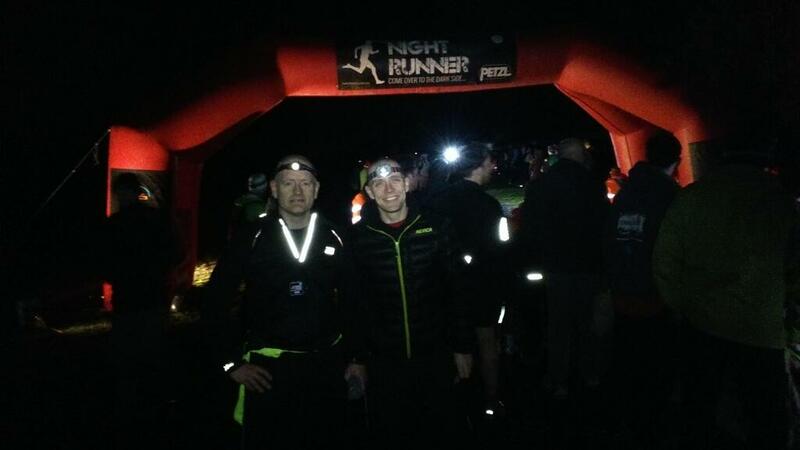 There were around 400 people on the start line, some in festive fancy dress and all sporting headtorches to light their way around the dark forest. Mike and I lined up reasonably close to the front to avoid being poked in the eye with a fairy light, tripped up by some tinsel or elbowed by a bloke dressed as a Christmas present. After being elbowed by a bloke dressed as a Chrismas present I got into a fairly pacy group – a bit faster than I’d normally run but I’d see how I got on. Gradually the size of our group reduced in size as we overtook runners in front of us and the pace stayed quite brisk as the mile markers started to roll by. It was going quite well by halfway and that’s when the hills started to appear. My lack of running in the past few weeks (I’ve not done any) was starting to play on my mind as I had to really put in the effort to stay in touch with the big tall lad who’d been setting our pace since the start. car keys, not a knuckle duster. 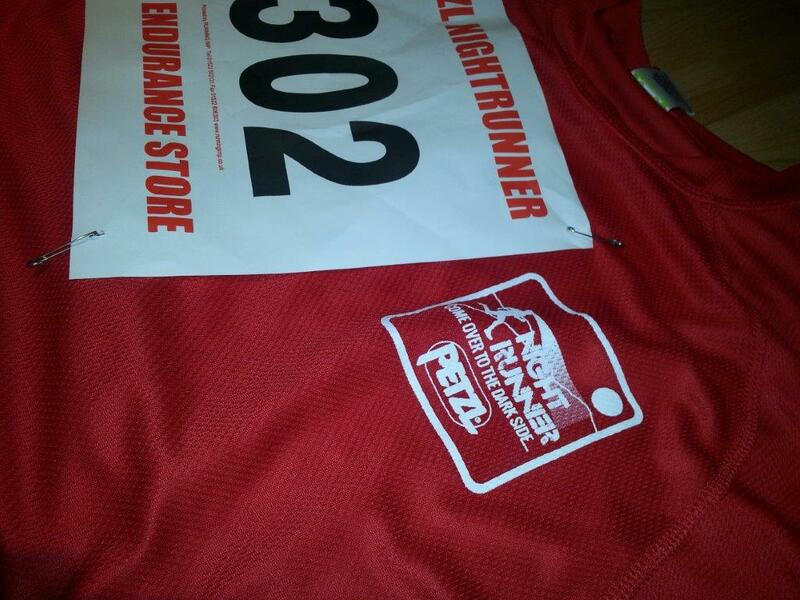 Mike crossed the line a few minutes later – his first-ever 10K run, his first-ever trail race and his first-ever run in the dark. Not bad!